IPE stands for innovation that always runs at the forefront of technology. We are specialized in manufacturing high-end, performance increasing valvetronic exhaust systems for supercars and sports cars. In our 20 years of experience, we have built up our own engineering team; research & development and quality control department; and our scientific test section. We are constantly refining our exhaust technology to ensure a passionate driving experience for supercar and sports car enthusiasts worldwide. iPE Valvetronic Exhaust System Valvetronic stands for our own valve-controlled exhaust technology that delivers power and control to the driver’s seat. Our valvetronic exhaust systems are operated by a remote control module and come in three modes: on, off, and auto. In on mode, the valves are fully open for maximum air flow, allowing for better performance and increased sound volume with an astonishing and clean tone. When pressing the off button, the valves close completely, which significantly reduces the sound volume for a comfortable drive. For the ultimate driving experience, the auto mode is the right choice: the system detects the fuel pedal signal and adjusts the valve movements accordingly and automatically for a dynamic drive. Mr. Gary Chien, the founder of Innotech Performance Exhaust (iPE), has been passionate about cars since childhood. At a young age, he decided to turn his passion into profession: exploring ways to increase vehicle performance. Gary soon made a name for himself with his work on exhaust system modifications. More and more car enthusiasts asked him to modify their vehicle’s exhaust systems, which paved the way for his entry into the professional world of exhaust system design. Before founding iPE, Gary worked as a welder in an engineering firm, where weld quality is of the utmost importance, and this is where he developed his exceptional welding technique. At that time, exhaust headers made by him were unmatched in the industry, leading to a famous Japanese firm seeking technical co-operation. In 1998, Jim Header Industrial Company was founded; products made by the company received rave reviews in the Tokyo Expo. In 2002, numerous established American exhaust firms visited Jim Header Industrial Company, asking for OEM co-operation. In the same year, the company name was changed into Jim Technologies Inc. with products on display at the Las Vegas Car Expo. In all these years, Gary never gave up on his passion in modifying ultra-performance vehicles. The increasing demand in his exhaust system designs; the stringent requirements of sports car and supercar owners; and their wish for uniqueness only had one logical consequence: creating his own brand. The idea for iPE was born. Since day one, iPE (Innotech Performance Exhaust) impresses with technical expertise and professionalism. New product development draws on long-standing experience. All production processes are standardized, meeting strict quality control procedures. All exhaust systems undergo a series of testing and sound checks before going onto the market. Our product range covers a wide variety of performance car brands and is available worldwide. 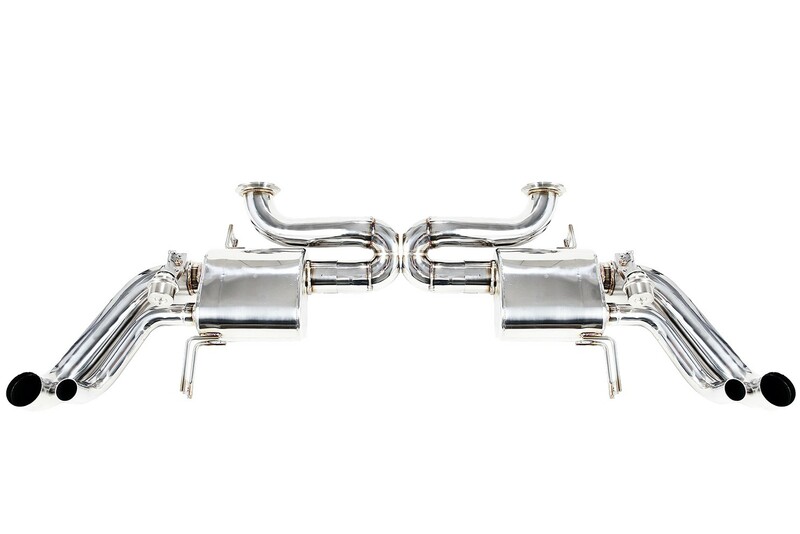 The essence of each iPE exhaust system lies in its extensive design. We use 3D Scanning for high-precision measurement. Each part of the iPE system strictly follows the structure of the stock exhaust, in order to guarantee a perfect fit and simple installation without the need for any modification. Our extensive design and development process is defined by the following elements: carefully selected materials, structured strength design, exceptional welding technique, design of unique sound, and dedication as well as professionalism of our engineering team. Only the perfect combination of all these elements results in an iPE Innotech Performance Exhaust system. Our engineering team continuously strives for more advanced technologies, such as the global trend towards eco-friendly sports- and supercars with reduced CO2 emission and fuel consumption. The performance increasing, weight reducing iPE exhaust systems bring you one step further to the level of a modern road-suitable race car. Each new iPE exhaust system undergoes a strict, standardized development process, always beginning with a virtual 3D model. Based on the 3D model the first prototype will be handcrafted and progressively improved. A series of functional tests on the car will be conducted until the new prototype meets our high quality standards regarding the enhancement of performance and sound; and minimization of in-car sound resonance as well as exhaust vibration. Going through this highly accurate development process, iPE consistently sets one of the highest standards in performance exhaust systems. ll products designed by iPE are manufactured under a strict and standardized development process. The first development step is a handcrafted prototype, which runs through a series of comprehensive testing and modifications. Only when the prototype meets our requirements, we form our molds accordingly. In the second development step, we use our standard materials and perform another number of testing and fine tuning in order to ensure perfection to the slightest details. 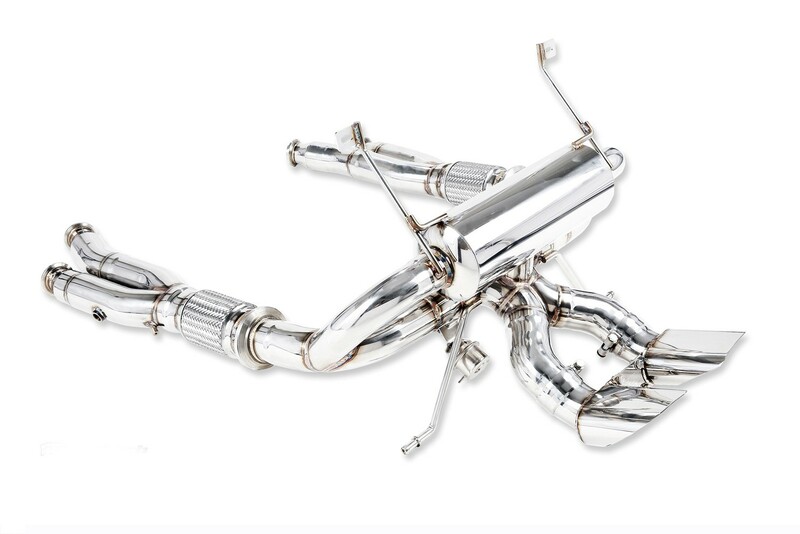 Each exhaust system that leaves our facility has gone through the same development procedure – handcrafted with the same accuracy and passion - to guarantee the highest quality in performance exhaust systems.